The research Snell has underway at Devil's Garden was chronicled in the current issue of California Agriculture journal by executive editor Jim Downing. 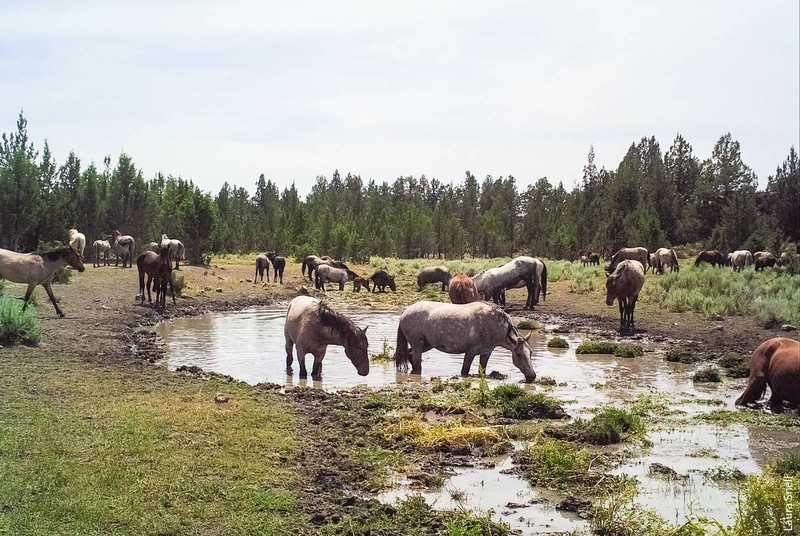 The federal government has determined the ideal horse population on the 230,000 acres of wild horse territory is no more than 402, however, more than 2,000 wild horses are running on the land. Snell began working in the remote northeast corner of California in 2015. “I had Modoc County ranchers coming up to me on my second day of work asking me how to solve the wild horse issue,” she said. She realized that agencies and authorities responsible for policies that determine the horses' fate, and advocates who lobby strongly that the horses should be cared for humanely, don't see the poor conditions suffered by the horses and the environmental degradation of the land. 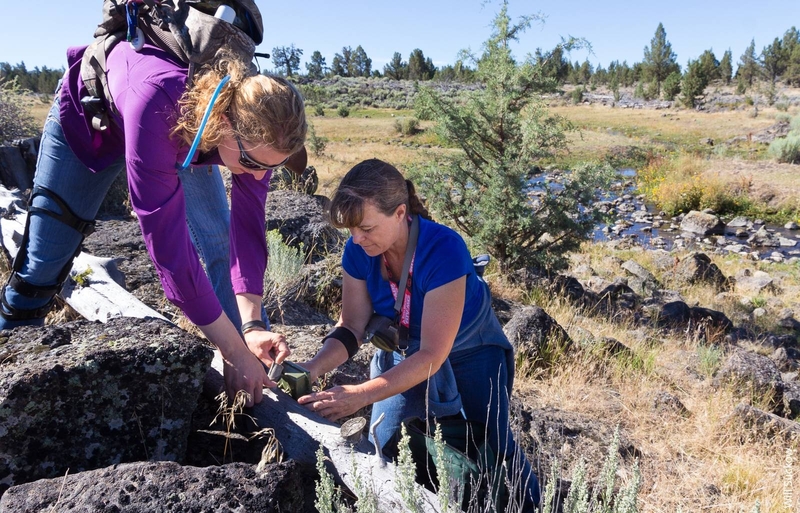 Snell places wildlife cameras for two-week periods near 24 remote water sources in wild horse territory in Modoc and Lassen counties. At each site, the camera takes a burst of three pictures automatically every 15 minutes; motion detectors on the cameras also trigger a shot whenever an animal enters the field of view. Preliminary data from 2015 show some striking findings. At one spring site, for instance, more than 71 percent of all animals detected over the sampling period were horses. Cattle accounted for 19 percent and the rest were pronghorn antelope, deer and hawks. The study will continue through 2017. 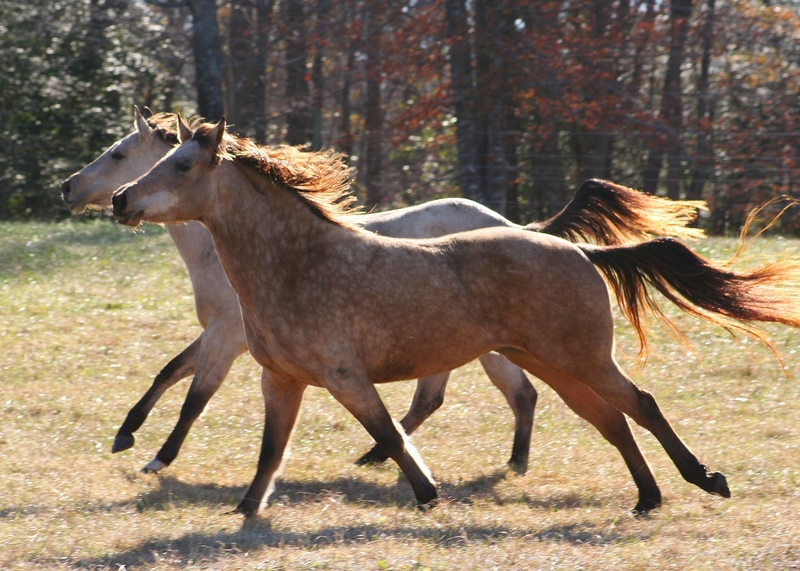 Wild horses are running in the Devil's Garden territory, and outside the territory, on private and tribal land. Fences don't hold the horses in, Snell said. 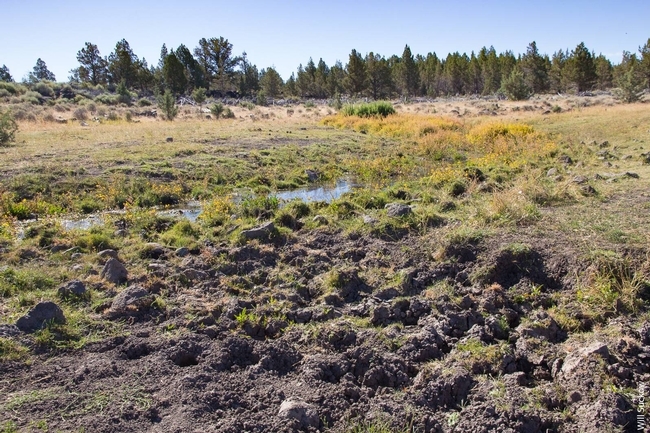 Federal wild horse management areas are intended for multiple uses, including livestock grazing, hunting, and wildlife habitat. But in Devil's Garden, livestock have been excluded because of the environmental degradation. The images and data from Snell's research are designed to inform management and policy decisions in hopes of easing the expensive and environmentally harmful wild horse over-population. Already U.S. Representative Doug LaMalfa (R-Oroville) has brought the study to the House Committee on Natural Resources and preliminary results have been shared with Bureau of Land Management's Wild Horse and Burro Advisory Board.